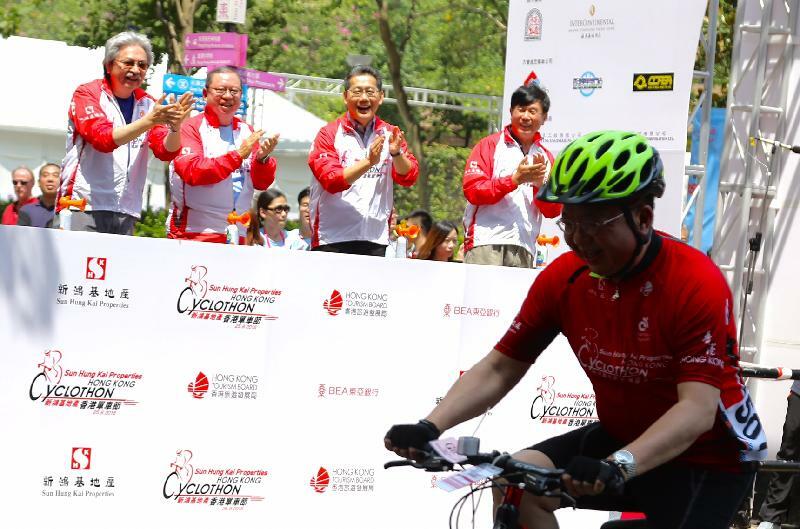 A warm welcome to all the cyclists, spectators as well as guests from Hong Kong and from around the world. 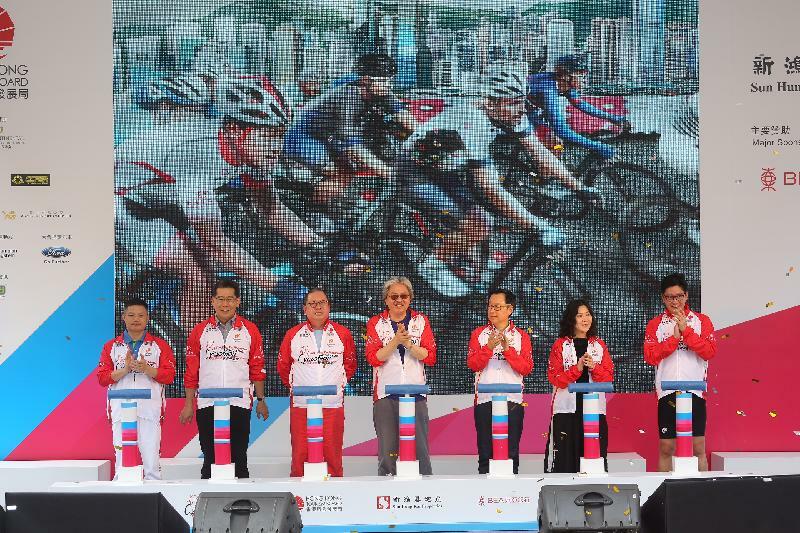 And welcome to the 2016 Hong Kong Cyclothon – the biggest and most exciting cycling event in our city. Cycling is clearly becoming more and more popular in Hong Kong. It is now common to see kitted-up cyclists and families enjoying the expanding network of cycling tracks around the city. This is the second year the Hong Kong Tourism Board organises this mega event. The Government has provided funding to expand the scale of this year's event, with a nice mix of activities designed for both amateurs and professionals. One of our home-grown athletes, Cheung King-lok, who also took part in the Rio Olympics last month, will be joining the competition today. The 50-kilometre Challenge Ride, the big race, has been extended to span three bridges and three tunnels. The routes should give cyclists the chance to enjoy our stunning harbour view and skyline. Certainly, an added bonus. 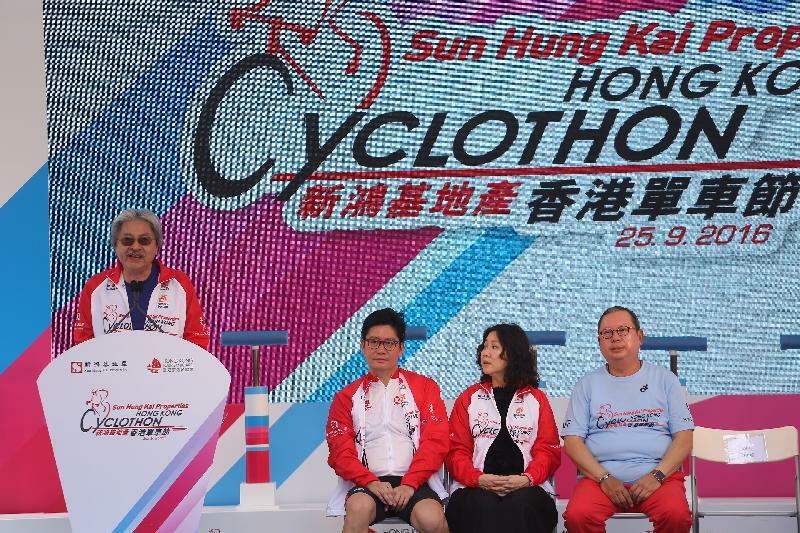 This Cyclothon marks the beginning of the Hong Kong Sports Month. We are delighted to host a number of exciting sports events in October – the Tennis Open, Boxing, Triathlon, Harbour Race as well as the Formula E.
I wish you all joining the race today a thrilling ride, and the spectators an exciting day.